We review each of the strategies and the specific ways in which the strategies work as well as stock picks and pans. From Screening on a quantitative basis to contrarian investing strategies and back, this episode has a great deal of ideas that will help you profit. Ron Prichard is investing editor at MSN Money and runs Strategy Lab, a ten-year-old stock-picking game in which a rotating cast of top investors try to beat each other and the market while documenting their every move. 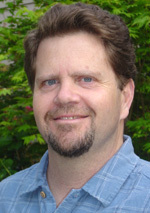 Mr. Prichard is a long-time journalist and has written and edited for the Eastside Journal in Bellevue, Washington, as well as several Gannett newspapers including the Westchester (NY) Journal News and USA Today. He is a graduate of California State University in Long Beach. John Reese is the founder and CEO of Validea.com, a leading investment research Web site, and Validea Capital Management, an SEC-registered investment advisory firm that manages money for high net worth investors and institutions. Reese also utilizes his stock selection system to sub-advise two mutual funds offered to Canadian investors: Omega Consensus American Equity and Omega Consensus International Equity funds. He holds two U.S. patents for his inventions in the area of automated stock analysis and is the author of “The Market Gurus: Stock Investing Strategies You Can Use from Wall Street’s Best.” John holds an electrical engineering degree from MIT and an MBA from the Harvard Business School. Robert Walberg is a financial writer based in Chicago who has been a regular MSN Money columnist and contributor to the stock-portfolio Strategy Lab. He was formerly chief equity analyst at Briefing.com and ran for Congress in 1994. Kelley Wright is Chief Investment Officer and portfolio manager at IQ Trends Private Client Asset Management, a registered investment advisory company. Additionally, he is Managing Editor of the Investment Quality Trends newsletter. 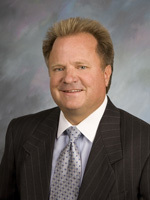 Kelley‘s interest in stocks and investing was the result of his relationship with his grandfather, a small business owner whose investment philosophy was formed by his experiences during the Great Depression. With everyday life as a classroom, Kelley learned the building blocks of business and how to discern quality offered at good value. From construction sites to the family vegetable garden the experience of one generation was passed with love to the next Kelley is an active lecturer nationwide, a participant in the MSN Money Strategy Lab, and frequent guest on both television and radio. 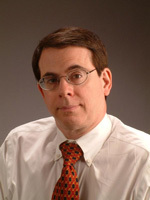 He has been published by BARRON‘S, BOTTOM LINE PERSONAL, BUSINESSWEEK, FORBES, THE ECONOMIST, MARKETWATCH.COM, and many others.Kelley is the author of Dividends Still Don‘t Lie, slated to be published in 2008. Vad Yazvinski likes buying stocks that offer growth at a reasonable price. He does not tolerate losing positions for too long.To sum it up, he is a permanent student of economics and of the investing world who is not only unafraid of challenges but who spends his free time looking for them. And I intend to stay that way, because, as the quote I cited above says, I know that while I might not be able to change my past, it is certainly within my powers to make a brand new ending. Ken Kam is the CEO of Marketocracy.com. Ken believes that Wall Street analysts really don’t know a lot about the companies they cover. Warren Buffett likes to say that in the short term, the market is a voting machine. If the people who have the most votes (because their opinions drive billions of dollars of capital) are not the most knowledgeable about the company, how can a stock’s price end up being priced exactly right all the time? Ken also asks, “Our financial future depends on the investing skills of the people you choose to help you manage your money…Do you have the right people?